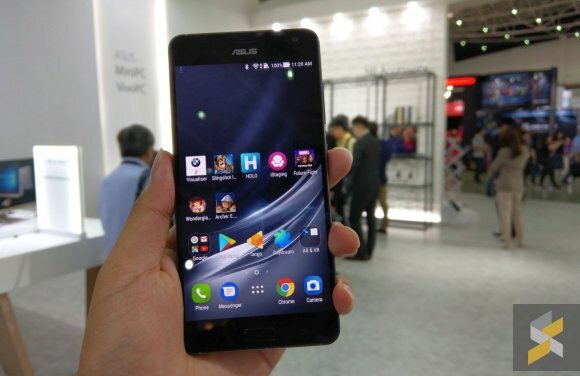 Being a feature packed device, you should realistically expect the ZenFone AR to cost more than the ASUS ZenFone 3 Deluxe that was announced with a starting price of RM2,599. Instead, it costs more than that. Even more than the Samsung Galaxy S8+. 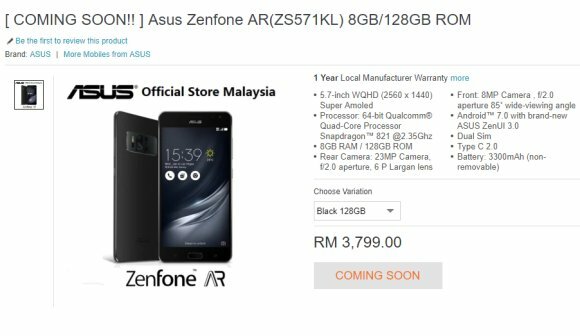 Ahead of its Malaysian launch event, the ASUS ZenFone AR has already appeared on Lazada Malaysia with a whopping RM3,799 price tag. For Malaysia we are getting the 8GB RAM version that comes with 128GB of onboard storage. The device is only offered in a single black colour option. The ZenFone AR comes with a 5.7″ Quad HD AMOLED display with Gorilla Glass 4 protection and it is powered by a Qualcomm Snapdragon 821 processor. Powering the device is a 3,300mAh battery which supports Quick Charge 3.0 that does 60% charge in 39 minutes. 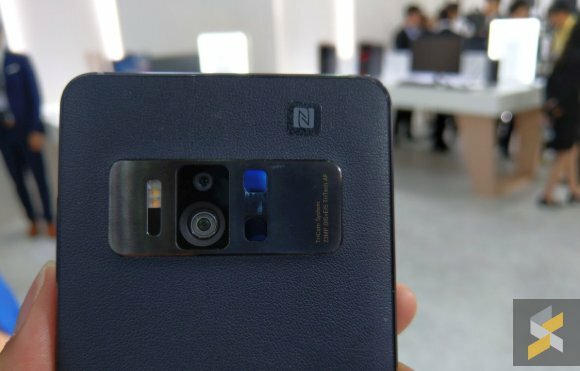 The key feature of the ZenFone AR is its rear cameras. It gets a tri-camera system which consists of a 23MP f/2.0 main camera along with a motion sensing camera and depth sensing unit. With these 3 cameras combined, you’ll get an augmented reality experience using Google Tango which is similar to Lenovo’s Phab2 Pro. For selfies, it gets an 8MP front camera. It’s also Google DayDream ready which enables a VR experience using a DayDream View handset. The ZenFone AR also features an advanced vapour cooling system to prevent overheating during extended AR and VR use. 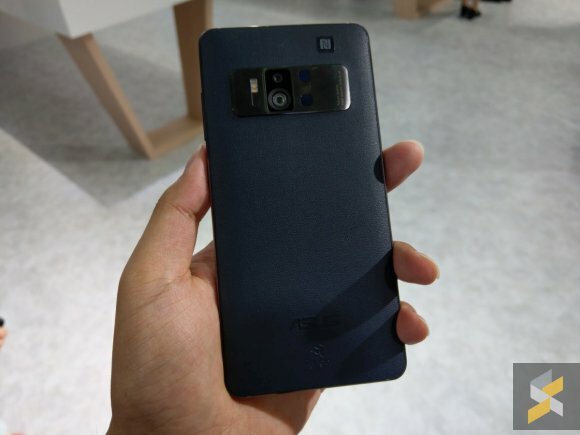 You can check it out the ZenFone AR listing on Lazada Malaysia.